Protesters disrupted a pre-Christmas celebration Saturday in the Netherlands that uses “Black Petes” to accompany St. Nicholas, leading to 90 arrests in the Dutch town of Gouda, the Associated Press reported. 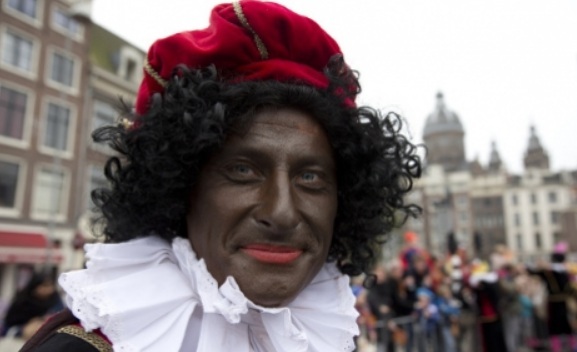 The Black Petes, known locally as “Zwarte Piet” and usually in blackface, wear jesters’ costumes and have accentuated red lips in what opponents say is a racist display. Photos from the scene posted on the Daily Mail showed black protesters wearing shirts that said “Black Pete is Racist” in Dutch. Both supporters and protesters of the tradition in the Netherlands and Belgium were among those arrested, a spokesman for the local prosecutor’s office told the AP. About 60 protesters were arrested because they did not demonstrate in a previously designated area to vent their anger and were fined 220 euros ($275.) The remaining 30 were arrested for disturbing public order. Black Pete may have arisen from the 1850s children’s book “St. Nicholas and His Servant” by Jan Schenkman. The servant isn’t given a thorough description, but he was believed to be a Spanish Moor. Some accounts say the character is a descendant of an Ethiopian slave. The St. Nicholas celebrations started using the servant in the 19th century, according to the international educational organization Humanity in Action. Rutte said he is in favor of keeping the tradition, but added it’s not up to him to decide whether Black Petes should be a part of the St. Nicholas celebrations. He made the remarks at his weekly press conference before the unrest occurred. “Personally, I think he can stay black. But this is a matter for the community. It is not a task for politics,” he said, according to Reuters. 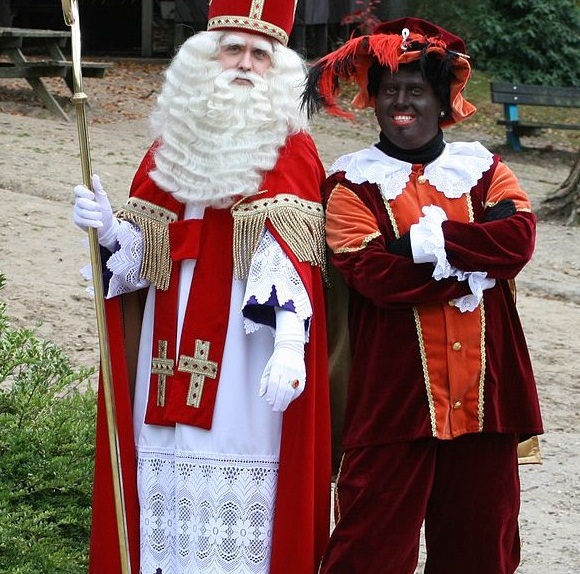 The organizers of the Gouda event had “Yellow Petes” walk with St. Nicholas along with the Black Petes as a sign of compromise to those who believe Black Pete is racist, the AP reported. The pre-Christmas celebrations run until Dec. 6, or St. Nicholas Day in Belgium and the Netherlands. Video: November 3, 2014: Black Piet opponents and proponents at each other’s throats again. This time in Utrecht, the capital and most populous city in the Dutch province of Utrecht.